Everyone loves a crispy skin on the chicken. 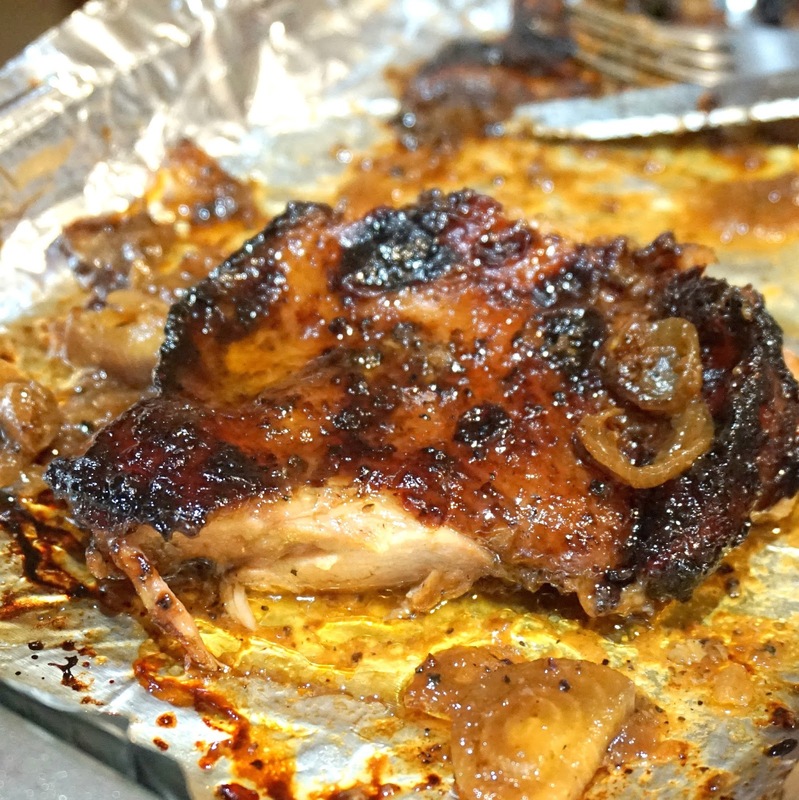 Biting into that crispy skin and juicy meat is something I would say most of us home cooks will look for to measure the success of our chicken. Chicken taste great the way it is but to entice your guests with what is put forth on the dining table, sometimes all it takes is just a little sear on the chicken skin for a few mins and right back into the oven to finish the entire cooking process. Easy as 1 2 3. 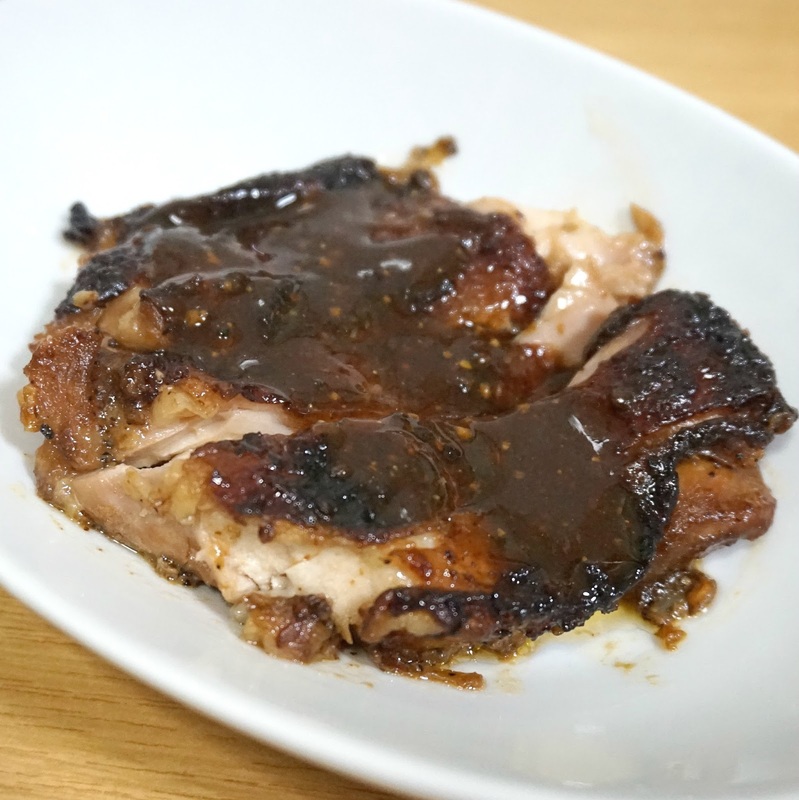 I marinated the chicken with some onions, black pepper sauce, cornflour, coarse pepper and a drizzle of sesame oil overnight in the fridge. The next day, I dap dry the skin side of the chicken. Ran a little oil in the pan and seared the skin side 1 min until crispy. The chicken was then pop back into the oven and finished at 200 deg cel for 15-20 min. I use boneless chicken for this recipe so it takes lesser time than those with bone in leg or whole chicken. 2) Pat skin side of chicken with a dry kitchen towel and sear 1 min in a hot pan with oil. 4) Remove seared chicken from pan, and transfer to a baking tray ( skin side up). 5) Cook in preheated oven for 15-20min or until chicken is cooked through.